Where is the Pacific Coast Air Museum? At N. Laughlin Road and Becker Blvd. We are on the east side of the Charles M. Schulz – Sonoma County Airport, about five miles north of Santa Rosa off Highway 101. Take the Airport Blvd exit and go west about one mile, turn left on Laughlin Blvd., then right on Becker Blvd. When is the Air Museum open? Wednesday, Thursday, Friday, Saturday & Sunday from 10:00 a.m. to 4:00 p.m. The Museum is closed on major holidays, the three days prior to the annual Wings Over Wine Country Air Show, and during the annual Wings Over Wine Country Air Show. Do you have a Facebook Fan Page and a Twitter Account? There is plenty of free parking outside the Air Museum building and along Becker Boulevard. Handicap parking is directly outside the Air Museum building. Is there any overnight camping? Is there public transportation to the Air Museum? Yes. Sonoma County Transit has bus service from various locations in Sonoma County. For information call 707-576-7433 or 800-345-7433. What kind of airplanes do you have at the Air Museum? 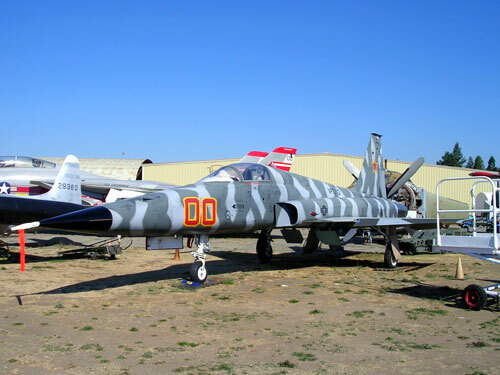 We have approximately 35 restored aircraft, mainly Cold War and Vietnam era aircraft, with some dating back to the Korean War and others that were in service until just a few years ago. To see all of our aircraft, visit our aircraft pages on this website. Can we climb aboard the airplanes? Sometimes. During our monthly Open Cockpit weekends and annual Wings Over Wine Country Air Show we open selected aircraft so you can look inside, and you can even climb aboard and sit inside some of them! Check out our Open Cockpit page. What other exhibits do you have at the Museum? 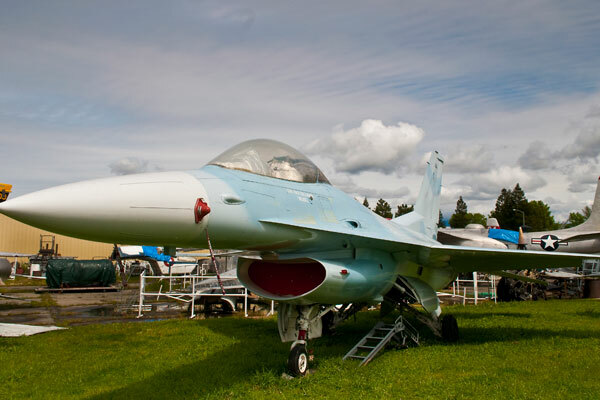 We have exhibits that display aviation history and tell the story of the World War II era Santa Rosa Army Air Field, the Santa Rosa Naval Air Center and the history of aviation in Sonoma County. We have a large number of aircraft models and dioramas on display. We also have a 3D Virtual Reality flight simulator you can “fly” for an additional charge. 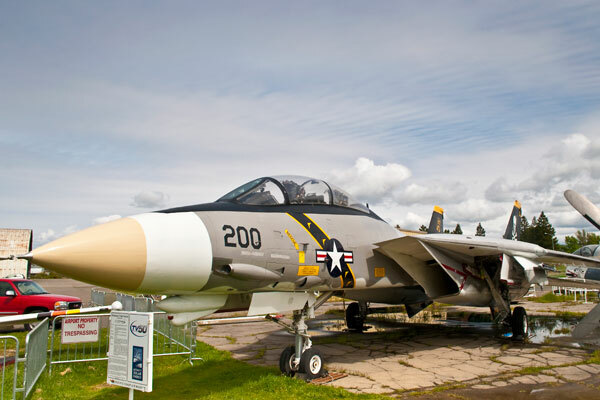 Of particular note is our outdoor First Responder F-15 exhibit, featuring the first military aircraft to respond to the terrorist attacks of September 11, 2001. Do you have educational programs? Yes. We conduct school tours, have an annual Aviation Summer School, conduct Boy Scout Aviation Merit Badge programs and can arrange special tours for groups. Visit our educational programs page for more information, or call Art Hayssen at 707-321-2040. Can I have my child’s birthday party at the Air Museum? Yes. For further information, please visit our parties page or call Connie Reyerse at 707-575-7900. Are pets allowed at the Air Museum? Only guide dogs and certified companion animals are allowed; absolutely no other animals. Is the Air Museum wheelchair accessible? Yes. The Museum also keeps one unpowered wheelchair on hand to lend to visitors. Soft drinks are available through vending machines. No. By Federal regulation, smoking is forbidden anywhere on airport property except in specially designated areas. How can I become a member of the Air Museum? Please call the Museum office, at 707-575-7900, or visit our membership page. Whom do I contact to volunteer? Please contact Volunteer Coordinator Jim Mattison at 707-291-4719 (Sunday through Thursday), or visit our volunteer page.